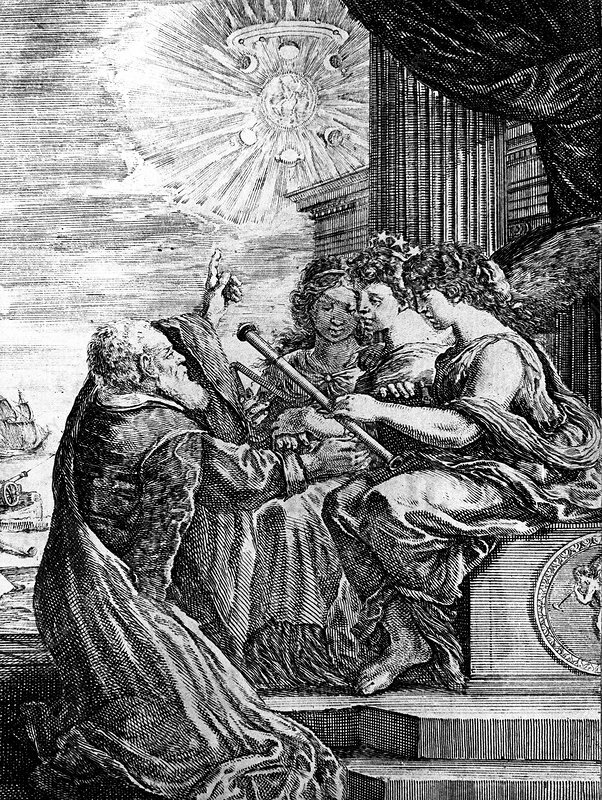 Galileo presenting his telescope to the Muses, and pointing out a heliocentric system. Note Jupiter and its satellites, the phases of Venus, and the triple nature of Saturn. From Operere di Galileo Galilei, Bologna 1655-56. Engraving.